Lakeland Tree & Land is a top tree service company in Lakeland, FL. We have many trees services that we can perform for both homeowners and business owners, including tree removal, tree pruning, tree trimming, and more. We perform projects of all scopes and sizes, and have a complete focus on customer satisfaction and making sure the job is done right and down safely. We have many years of experience and all of the tree service equipment required to perform any job that you might have. 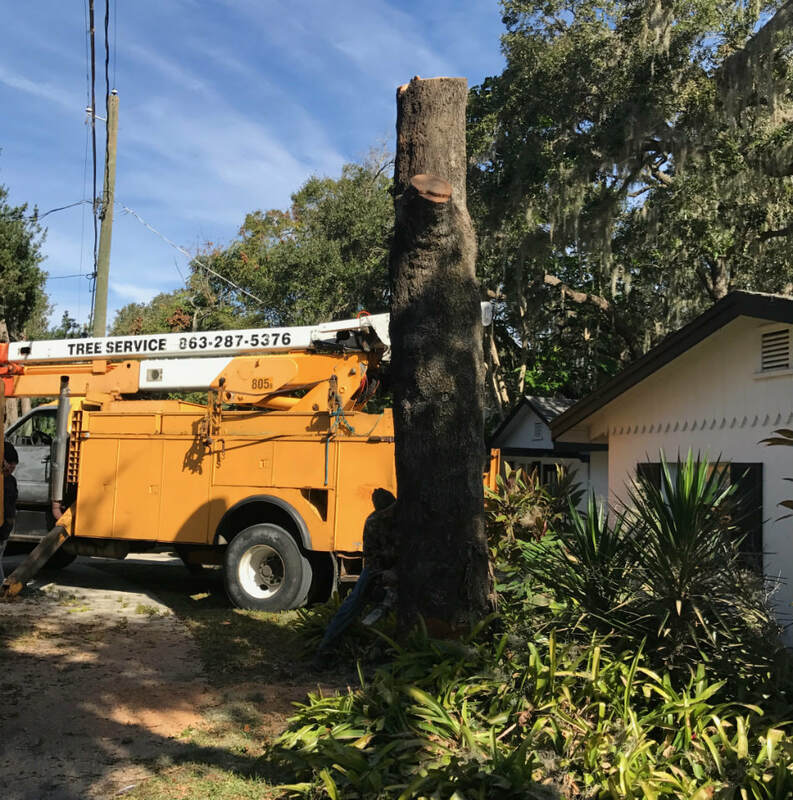 So whether it is tree trimming on the ground, or tree pruning in Lakeland high in the air, we have recovered and can perform all of these tree service tasks safely and efficiently. Our straightforward and professional approach will assure you that you will receive a fair and honest price for the scope of work that you need completed. We will always honor our estimates and the job will not be complete until you are 100% satisfied with every aspect of our work. This is how we have built our business over the years and will continue to do so with our residential and commercial clients in Lakeland, Florida. We also will always honor the schedule that we commit to. We know that you have a busy life in need your tree service work done on time and according to schedule. This is our priority in every project that we take on, and we will make sure that we make every possible effort to meet your schedule and to make sure that the work is done on time and within budget. We also like to consider our company a long-term partner for all of your tree services and Lakeland tree removal needs. Our goal is always to build long-term relationships and focus on the customer. This is the only way to guarantee that you will hire us again for all of your tree service needs. At Lakeland Tree & Land, we also know that most families live by a budget, which is why we have some of the most competitive pricing in Lakeland for our tree services. We will always treated fairly on price, and will never take advantage of a situation. This pricing integrity is one of the ways that we not only build our business in tree service, but also maintain our reputation. So our goal is always to provide the very best possible service at the best price we can offer the customer. So call Lakeland Tree & Land today at 863-777-5444 for a free estimate and also a free analysis of your trees' health and welfare, and remember that the estimates and advice are always free. We would be happy to come to your home or business and provide you with a plan of how to keep your trees healthy again and looking amazing!